AN ART. A TRADITION. A CONSTANT SOURCE OF PARENTAL DISAPPOINTMENT. 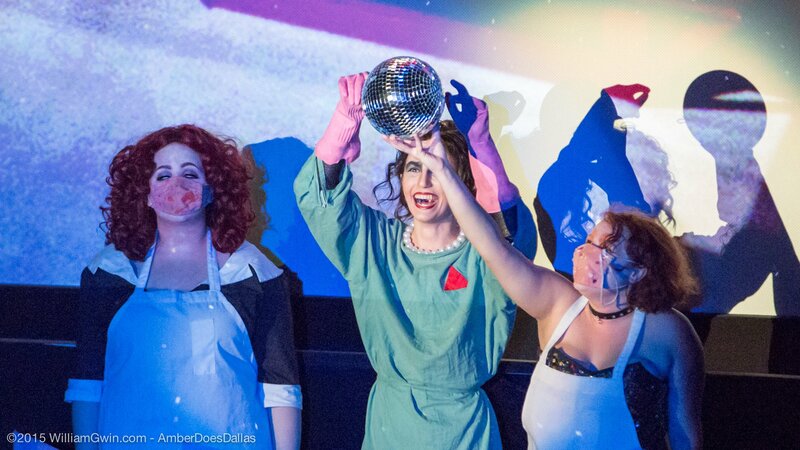 On November 11th, 2009, Amber Does Dallas brought the cult phenomenon of The Rocky Horror Picture Show to the historic Lakewood Theater in Dallas. With a troupe of experienced shadowcast performers and beautiful theatrical backdrops, Amber Does Dallas has brought the movie to life at various theaters and conventions since 2009. They now perform regular monthly shows at the Angelika Film Center in Dallas' Mockingbird Station. Wherever they perform, Amber Does Dallas promises to chill you, thrill you and fulfill you!